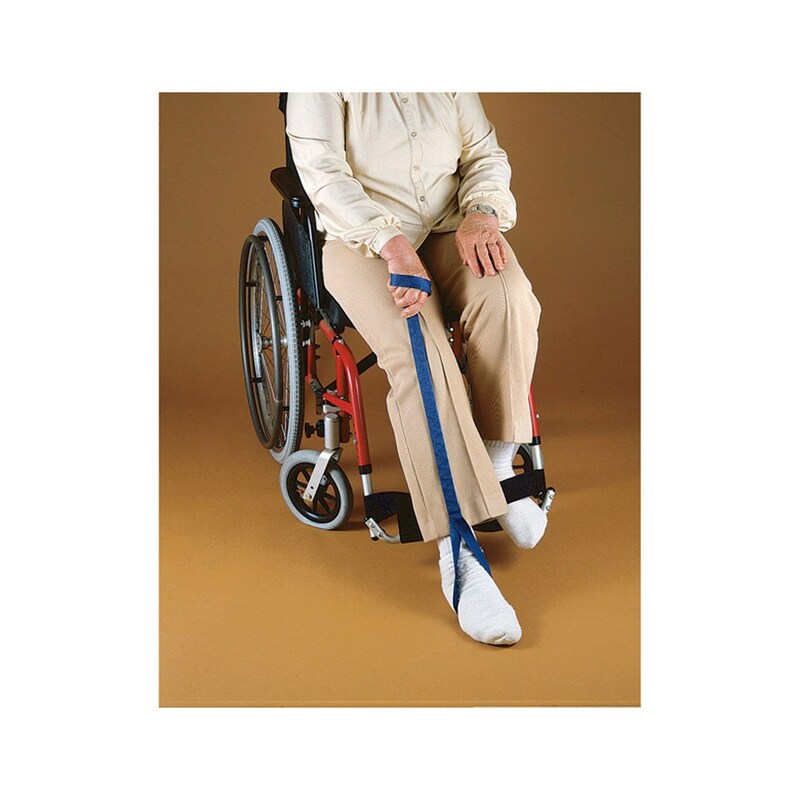 This simple but practical device is useful for people with limited lower extremity strength. It enables them to lift the foot onto a wheelchair footrest or bed, or into a car, and can also be helpful as a dressing aid. The 35-inch (89 cm) long lifter has a loop at each end. The 18-inch (46 cm) center section is rigid plastic. One loop is placed around the wrist and the other around the foot or cast. Made of 1-inch (2.5 cm) wide high-strength nylon webbing.